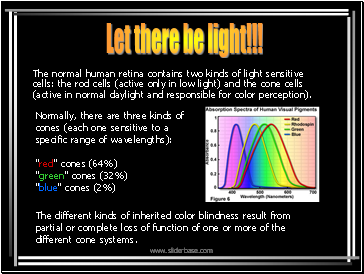 The normal human retina contains two kinds of light sensitive cells: the rod cells (active only in low light) and the cone cells (active in normal daylight and responsible for color perception). 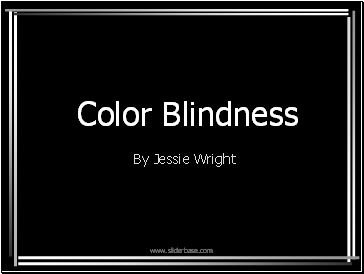 The different kinds of inherited color blindness result from partial or complete loss of function of one or more of the different cone systems. Monochromacy: occurs when two or all three of the cone pigments are missing and color and lightness vision is reduced to one dimension. 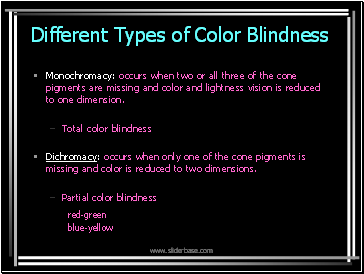 Dichromacy: occurs when only one of the cone pigments is missing and color is reduced to two dimensions. 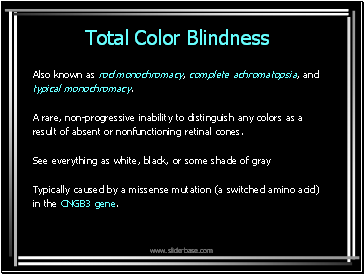 result of absent or nonfunctioning retinal cones. Classic achromatopsia results from a complete loss of CNGB3 function. 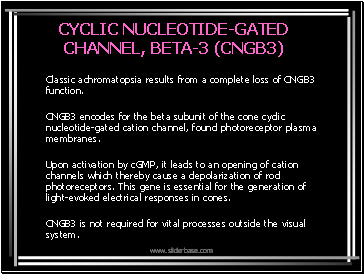 CNGB3 encodes for the beta subunit of the cone cyclic nucleotide-gated cation channel, found photoreceptor plasma membranes. Upon activation by cGMP, it leads to an opening of cation channels which thereby cause a depolarization of rod photoreceptors. This gene is essential for the generation of light-evoked electrical responses in cones. 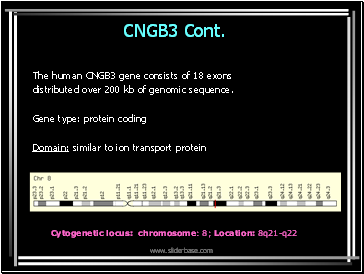 CNGB3 is not required for vital processes outside the visual system. 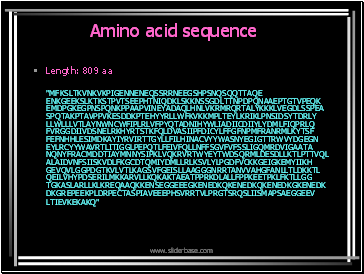 distributed over 200 kb of genomic sequence.